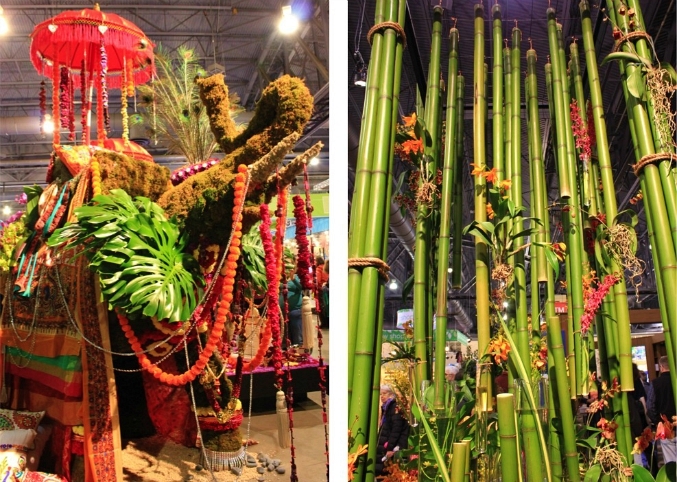 it has been 6 years since ryan and i have been to the philadelphia flower show. we weren't necessarily planning on going this year, but my dad entered us into a contest run by our local tv station, and my name was chosen as a winner for 2 free tickets! we went to the tv station bright and early on monday morning and met the other winners for a tour of the station before boarding a bus bound for philly. my parents drove down and met us in philly so we could spend the day together walking around the flower show. 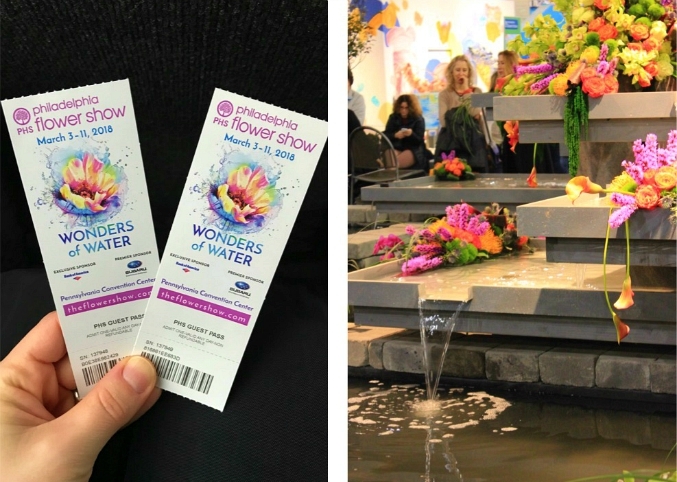 the theme of this year's show was "wonders of water." after the very rough winter that we have had this year, it was so nice to see all of the brightly colored flowers! 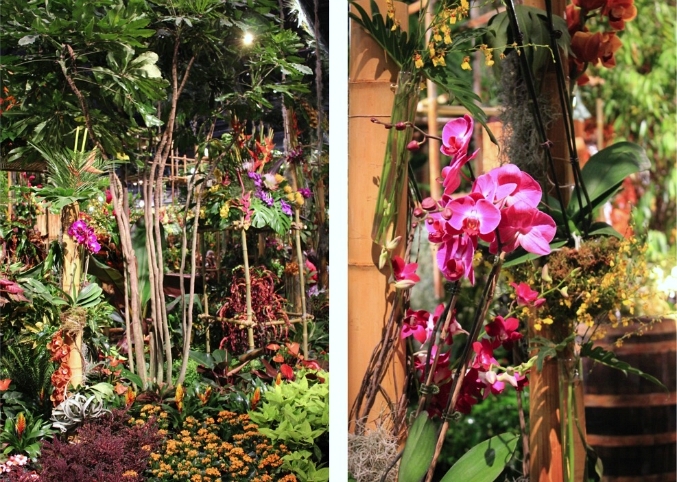 even though the flower show was incredibly busy, we had a great time walking around the show with my parents. (thanks, dad, for entering us into the contest each and every day!) 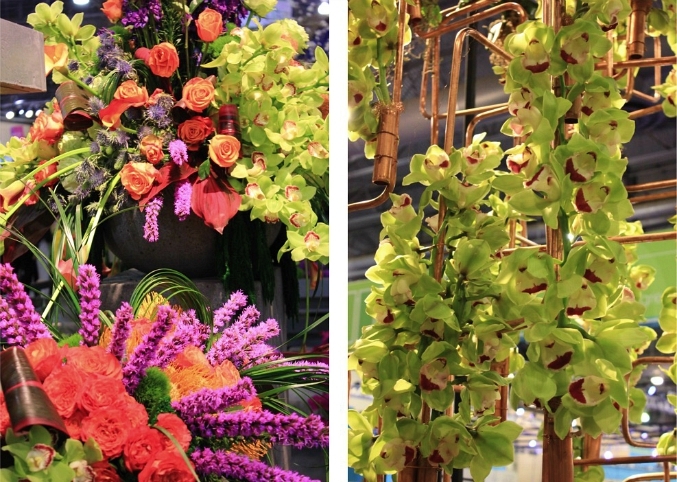 here are a few photos from the flower show . . . I agree, it was nice to see a breath of spring after this winter. Those orange and purple flowers were my favorite. Although I could have stayed in the rainforest with the birds chirping and the peaceful music playing. We also really enjoyed the trip to the flower show. The show is beautiful. Someday I will get to see it.